Because my youngest grandson rides with his Dad on his motorcycle! 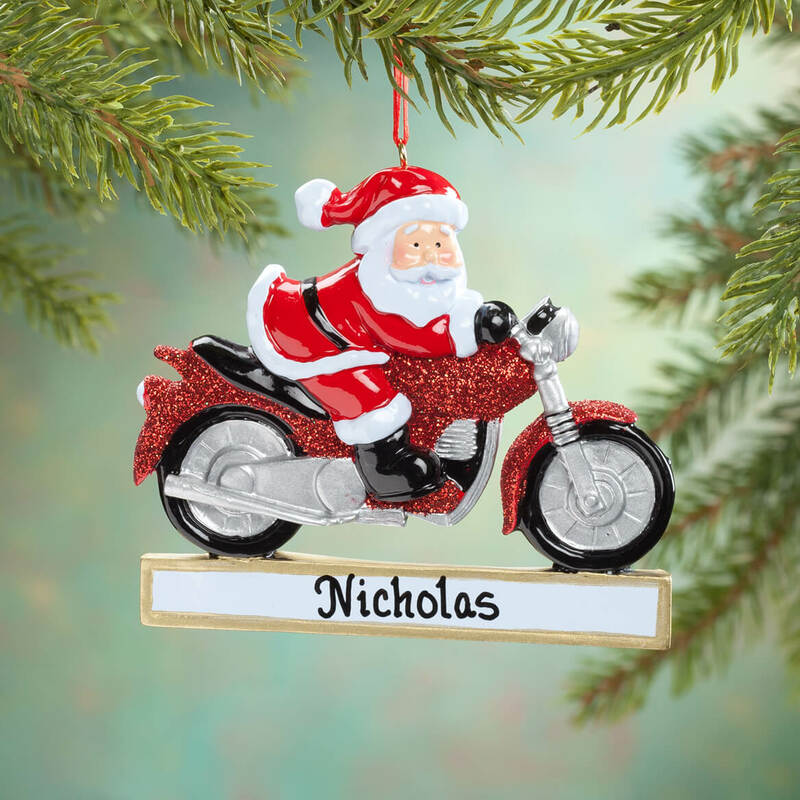 We ride a Harley and our baby nephew loves Santa. It is the closest to what I have ordered in years past (which was simply a red/black/silver motorcycle that could be personalized). I would love to see just the motorcycle come back!!! IT IS FOR MY 15 YEAR OLD GRANDSON WHOM I LOVE DEARLY. AND HAS NEVER BEEN ON A MOTOR BIKE. These were the perfect ornaments for our family. 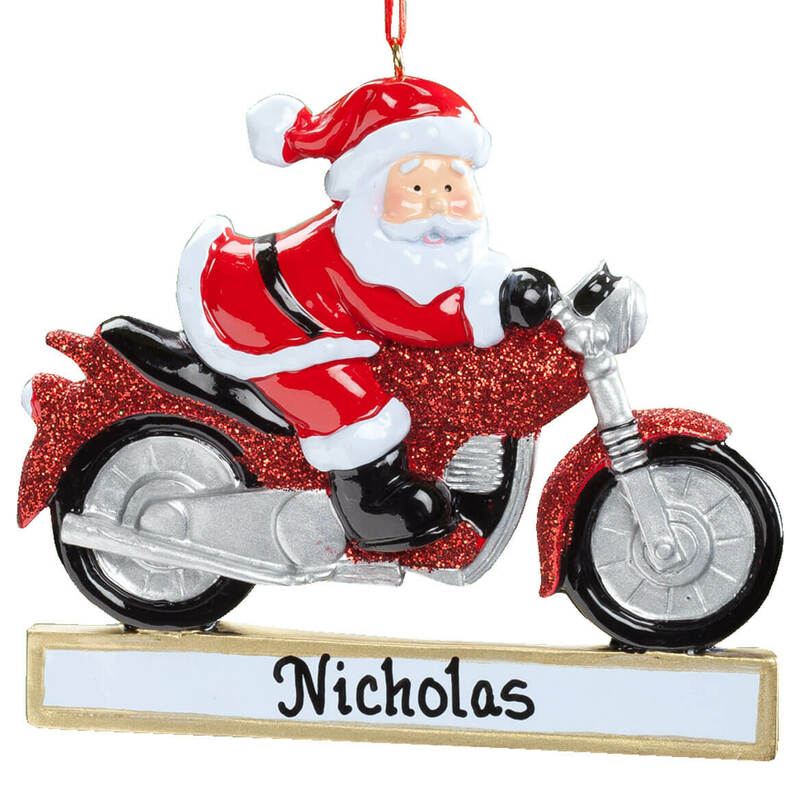 The only motorcycle my husband will be getting for Christmas!